Citrus lemon tarts are my all time favourite dessert!! The sour lemon, balanced with sweetness, to create a delicious curd, in a crisp almond shell. 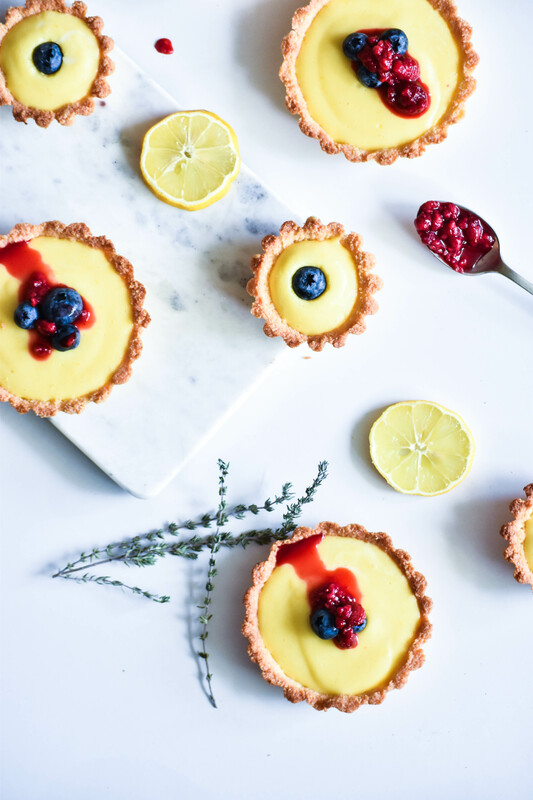 These tarts are refined sugar-free and gluten-free, meaning that everyone can enjoy them! I developed this recipe a while back when I first started my blog. BUT I have finally started to go through and reshoot recipes – because let’s be totally honest here… my photography skills have come a long way since I was shoot from an iPhone 4 in my backyard. My house is now filled with props (they are literally everywhere). 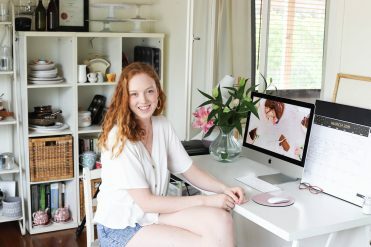 I invested in a good camera (NikonD5500) which I am absolutely in love with, and I’ve set up a tiny studio in the corner of my apartment with various backdrops! As a family friend said to me the other day: “everyone is creative in their own way, you just took a little while to uncover you WAY”. I believe this is so true. Don’t get me wrong, I still think I am more of an academic than a creative, but it is about finding your outlet. I found food, food styling and photography, and I am never happier than when I am in the kitchen or behind my camera! Keep on searching for your creative outlet… it can become a break from your stressful job, or study. It can help you to discover a passion that lies within… never stop searching! Cherries or mixed berries to decorate. Preheat the oven to 160C. Prepare the pastry by combining the almond meal and coconut in a bowl. Stir in remaining ingredients for the pastry until a wet dough forms. Push the dough into the tart shells to about 3mm thick. Place in the oven for 15-20mins or until golden brown. Meanwhile, prepare the lemon filling. Place the eggs, lemon juice and zest and Natvia into a heatproof bowl over a saucepan of simmering water. Whisk the mixture continuously until it thickens to a custard-like consistency (this should take about 10 minutes). Remove from the heat and stir in the coconut oil. Spoon mixture into the cooled tart shells and then refrigerate for at least 4 hours (overnight is best, if you have time!). Decorate with cherries or mixed berries. 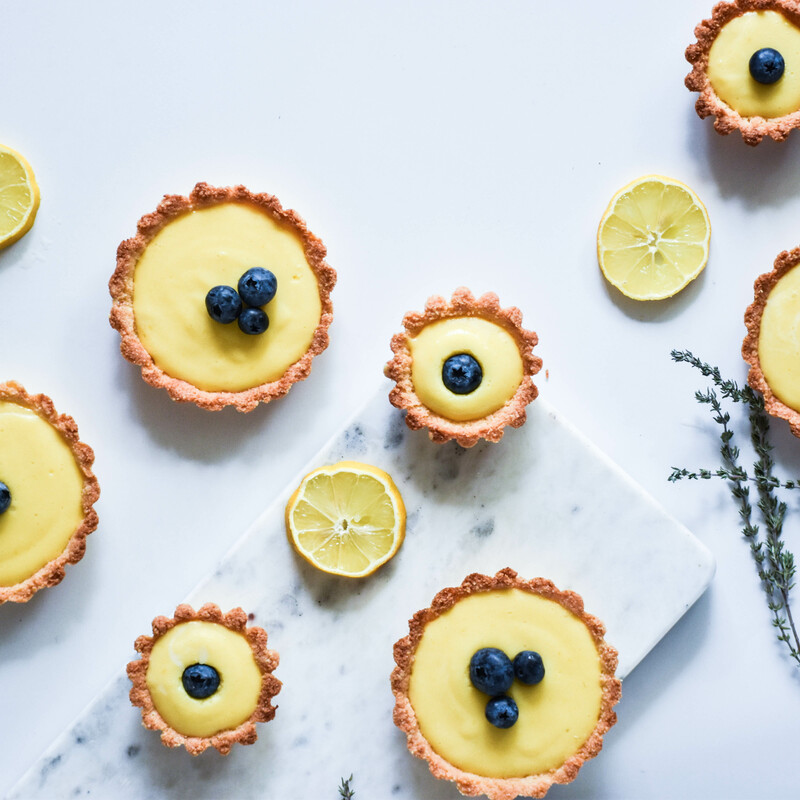 Lemon Tarts are my absolute favourite! Can’t wait to try this healthy alternative they look incredible!! ? 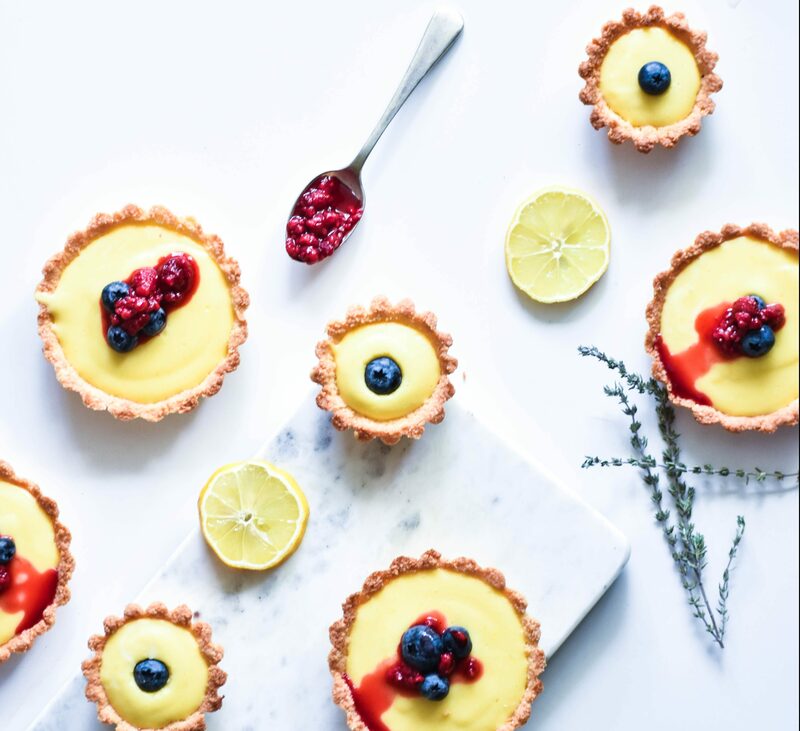 Most amazing Healthy Lemon Tarts ??? Can never get enough of eating these!! This sounds so yummy! Plus its GF & dairy free! What’s a good substitute for natvia? Honey or even raw sugar? Yuuum! Love a lemon tart! And if it’s healthy, even better! Love your new site Shelly! Congrats and awesome giveaway!